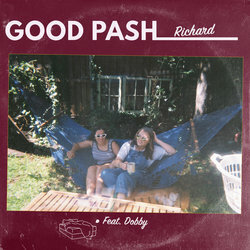 Good Pash is an indie-punk band based in Sydney Australia. They formed in late 2016, and have been making a name for themselves in the Sydney scene since. Good Pash is Anna Free (guitar/vox), Madeleine Mallis (guitar/vox), Julia Goyen (bass) and Courtney Cunningham (drums). They formed Good Pash as a way to test the waters for their second instruments, putting on shows that are loud, messy and raucous, but with story-teller lyrics that have a more familiar footing in folk. Richard is a track about when you realised you really don't like something, you're never going to like it and you're not very sorry about it. The song features rapper DOBBY in an incredibly fast paced rap which gains speed substantially until there is nothing else to do but EXPLODE.